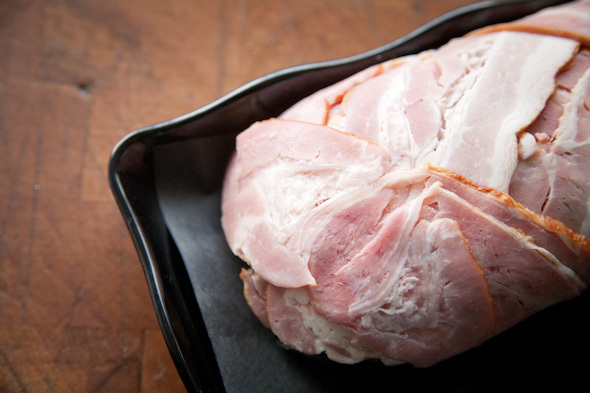 The Butcher's Son has something fantastic called the "Bacon Explosion." The meaty masterpiece consists of seasoned ground pork mixed with sauteed onions, which is formed into a log and encased in a bacon weave ($6.99/lb). Someone alert Epic Meal Time , because this thing has supreme gluttony potential. Though that particular offering hints at frat boy flair, The Butcher's Son has a story that's actually better suited to a feel-good Lifetime movie. Not too long ago, 25-year-old Matt Kumphrey was working at Bruno's Fine Foods, delivering meats to 5 Doors North Executive Chef Vito Rizzuto. 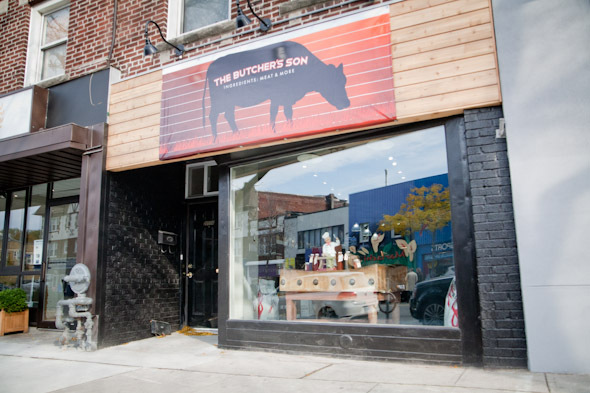 The two started to build a rapport, and Rizzuto thought of Matt when looking to put his 15-year knowledge of the neighbourhood into entrepreneurial use. "He kept hearing from restaurant customers, 'Where can I get the sauce you use?' and 'Can I have a jar to take home?' Matt says. 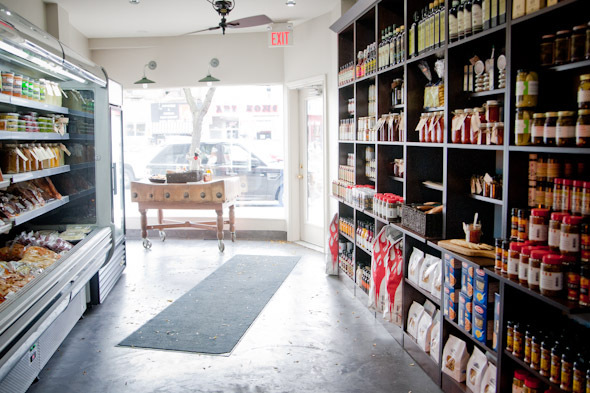 So Rizzuto proposed that he and Matt (who is the son of a butcher, hence the name) team up to run a butcher shop and pantry. "It just made sense for the area," Matt says of his new Yonge and Eglinton community. 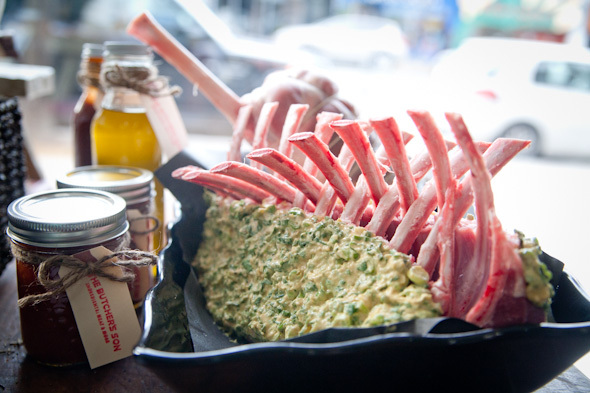 "There's a fish shop down the road, but no butcher shop. 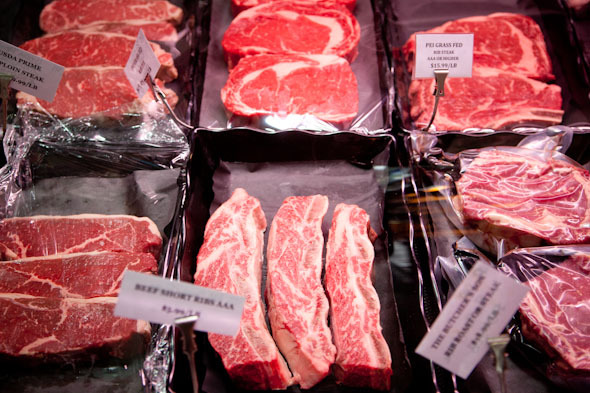 And people really don't want to have to resort to the big box stores to get their meats." 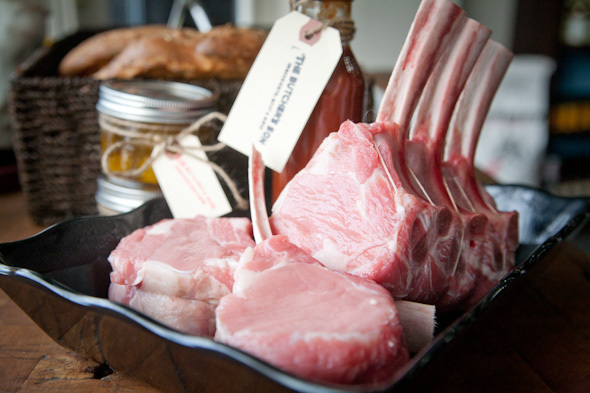 The Butcher's Son specializes is naturally raised meats including hormone-free, anti-biotic free Mennonite chicken (breast $10.99/lb, whole $4.99/lb), grass-fed PEI rib roast ($10.99/lb) and more. 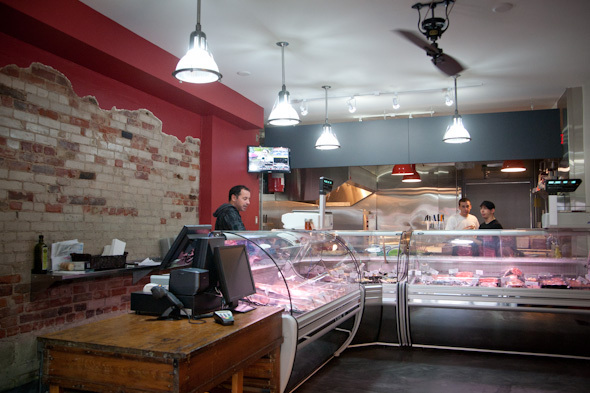 The shop also has a specialty chef for prepared foods such as Italian lentils ($2.80/100g), Portobello mushrooms ($3.00/100g) and all sorts of vacuumed-sealed seasoned and marinated meats. 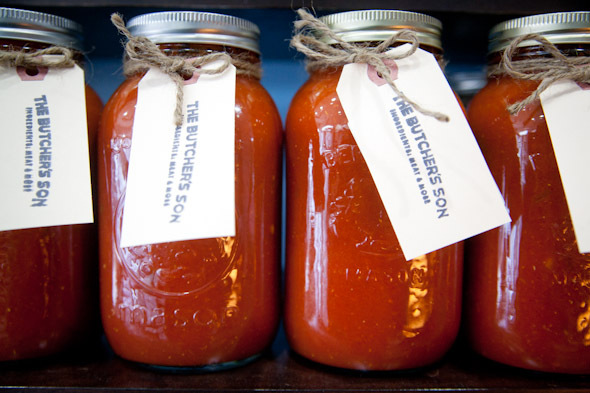 As for some of the goods already stocking the shelves, there are plenty of Rizzuto's secret concoctions including his "famous" tomato sauce ($8.99), freshly baked focaccia ($4) various dry rubs, soups, and marinades.